From an early age, I have witnessed the profound healing that occurs when compassion and faith converge to create a safe space for sharing intimate stories of the human heart. I grew up in Major League Baseball’s Cleveland Indians organization, where my father served as physician and medical director. While visiting patients with my father as a young girl and later, during my four-year care ministry at The Methodist Hospital in Houston, I was greatly moved by the Divine encounters shared by people suffering some of life’s most difficult trials. I witnessed first hand the healing that resulted when patients felt free to discuss sacred experiences that had impacted them. Upon moving to Texas with my husband, Guy, I offered my skills as a Bible study and small group leader at The Woodlands United Methodist Church, where I’m an active member. It was here that a miracle began to unfold in my life. The inspiration I had gleaned from my childhood visits with my father’s medical patients and the patients in my hospital ministry became an urgent whisper in my heart, eventually manifesting in the pages of a book, where I hope to share God’s presence with others. 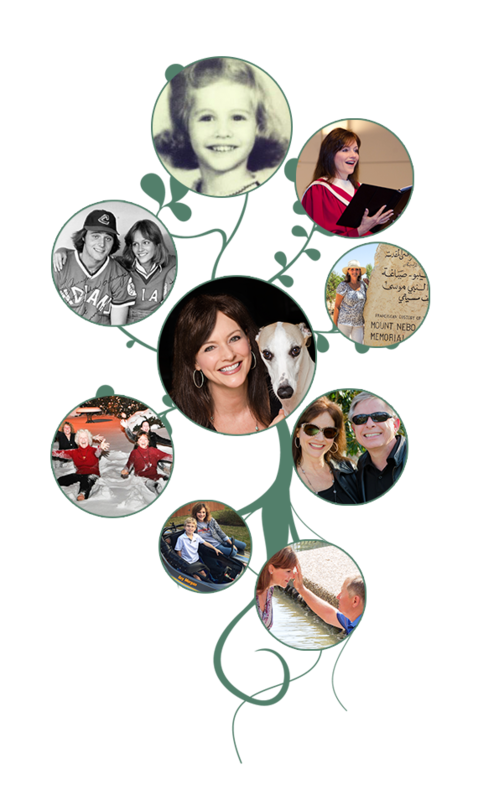 But this Texas homemaker-turned-author had no idea how to share her deeply personal stories with the world… until I met fellow church member Frank Eakin of Eakin Films & Publishing. Frank was the brilliance behind the 12 Years A Slave best-selling book, audiobook and app featuring Academy Award-winner Louis Gossett, Jr., and his grandfather was a top author of faith books for Macmillan. After reading my manuscript and getting to know me, Frank offered to take my dream forward… and suddenly my vision became a reality beyond anything I could imagine… an audiobook narrated by Today Show host Kathie Lee Gifford, a merchandising commitment from audiobook giant Audible (Amazon), a nationally broadcast stage show, and a book deal from Simon & Schuster! Now I’m looking forward to you experiencing Come to the Garden and sharing your own Divine encounters on this website. Please be in touch by writing to me through the Contact Jenn page. I might include your story for my blog or select it as one of my favorites for social media. Together, let’s show the world that… heaven is closer than you think. I love to connect in person with my readers! Please contact me for speaking engagements for your organization. 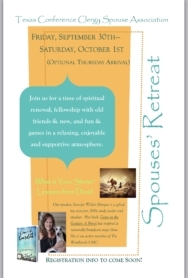 I will be the featured speaker at the Texas Conference Clergy Spouse Association Fall Retreat September 30 – October 1, 2016. September 20, 2016, I am excited to be joining Peggy’s Book Club for a discussion of Come to the Garden! Peggy’s Book Club is a senior adult ministry book club at The Woodlands United Methodist Church, The Woodlands, Texas. What an honor it was to be a guest on The Harvest Show on April 28, 2016. 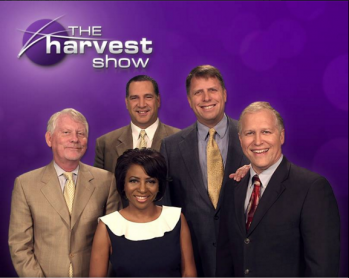 The Harvest Show is a LIVE International Daily Syndicated 1 Hour Christian Television Program (LSEA Broadcasting).